The Tabard of Nature is an epic tabard which had previously been available through the UDE Points Program (R.I.P. 2007-2010). The tabard is green, yellow & black, with the same distinct sigil as that of the other epic WoW TCG Tabards. This particular tabard goes incredibly well with the Valorous Dreamwalker transmog set, as pictured in the image above. Tabard of Nature counts towards the Twenty-Five Tabards achievement. 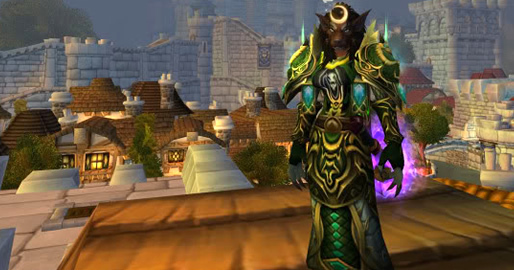 Unused loot codes for the Tabard of Nature are scarce, but they are still available. 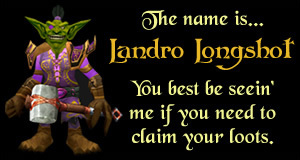 These tabard loot codes are very limited, so expect to pay over $100 if you find one. No items matching the keyword phrase "tabard of nature loot" were found. This could be due to the keyword phrase used, or could mean your server is unable to communicate with Ebays RSS2 Server.